Come strut with us! – Pflugerville Pets Alive! 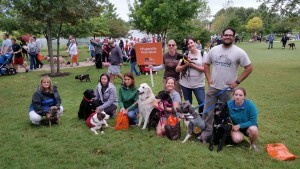 Thank you for visiting our Strut Your Mutt page! We are raising money to help end the killing of pets in shelters. And we plan on having a lot of fun doing it. Strut Your Mutt is a dog walk, 5K run, and dog-themed festival benefiting Pflugerville Pets Alive as we work to save the lives of pets in the Pflugerville Animal Shelters (and surrounding areas). 1. Join our team and strut and fundraise for us. Best Friends has 10 easy ways to raise $500! 2. Support our team. Find a teammate that needs some donations and donate to them so they can meet OR exceed their goal.